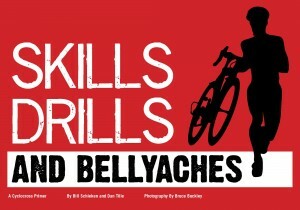 Available at www.cyclocrossbook.com for $21.99 Also available at Amazon.com. Guys. Seriously, this is a no-brainer. Plenty of women’s sizes available. It is a crowd pleaser, always. Order several. 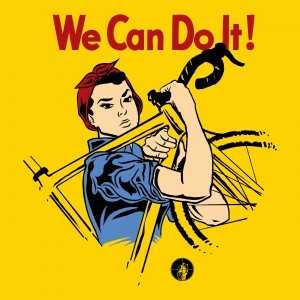 The women shirts are Bella brand and run a bit small. s/m/l/xl available. Also available in unisex sizes. $22. 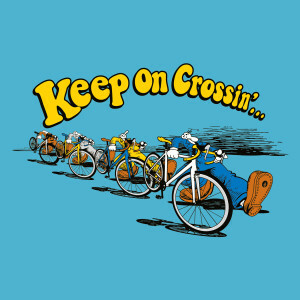 We’ve brought back this design and plopped it on a light blue ringer-T. They look sweet and it’s about time to bring back the ringer. 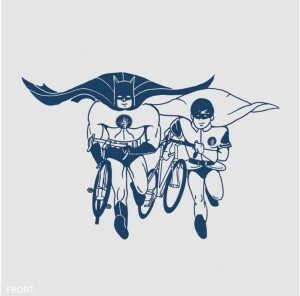 And superheroes with bikes. Shirts are $22. A few Smalls remain in the non-ringer version. Those are $18. 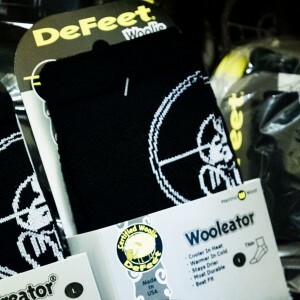 These classic Crosshairs socks have stood the test of time on cyclocross tracks across the U.S., Europe and Australia. They are wool to keep your toes warm. Black is the new black. $15. 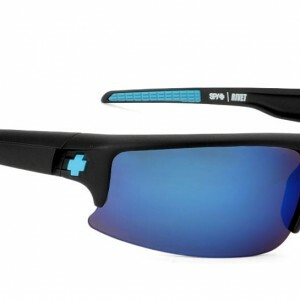 A handful of these custom Crosshairs Cycling Rivet sunglasses by Spy Optic remain. The lenses are amazing, providing a clear and crisp view of the competition when you look back behind you. Black frames with light blue highlights and the Crosshairs imprint on the inside arm. $75. Great on their own and as a liner in colder temperatures, these DuraGloves by DeFeet are some of the most comfortable gloves out there. 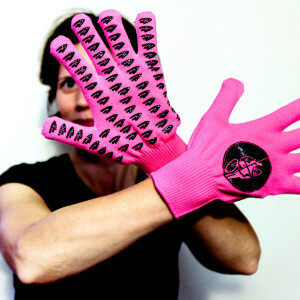 The pink HiViz gloves are only available in XL. The black gloves are available in all sizes. $20. Shirt is available in aqua blue and evergreen. Limited sizes and quantities remain. Get on it. $22. One of our best sellers. You give us your heart (and $20) and we will give you a shirt. Mediums and Larges remain. $20. Something for everyone here. But if you want more, like WTFKits water bottles, for instance, check out the whole line up at www.crosshairscycling.com/shop.